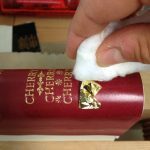 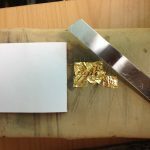 In May 2017, I attended a workshop about gold-finishing. 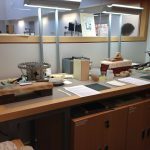 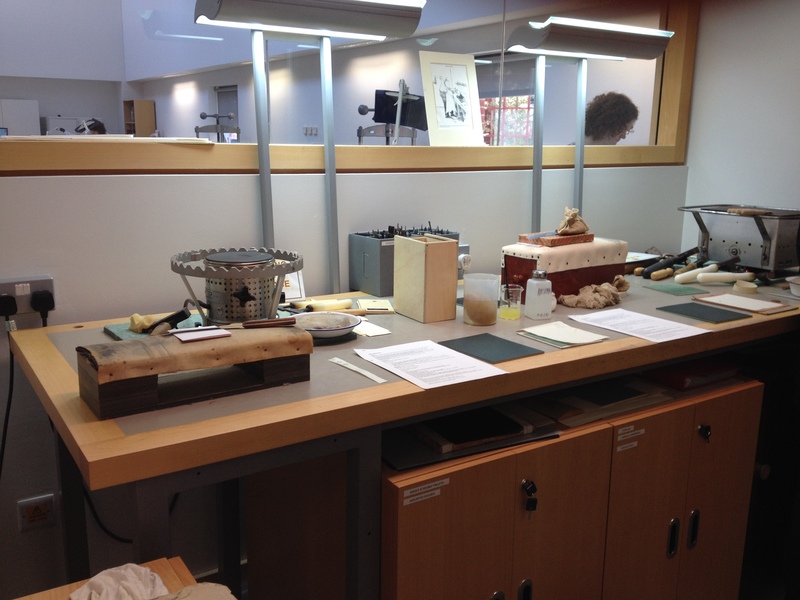 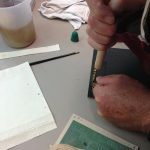 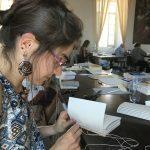 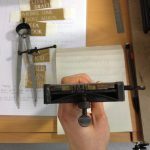 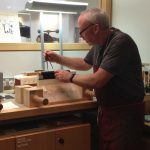 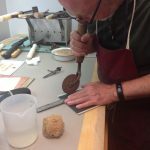 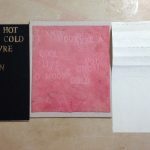 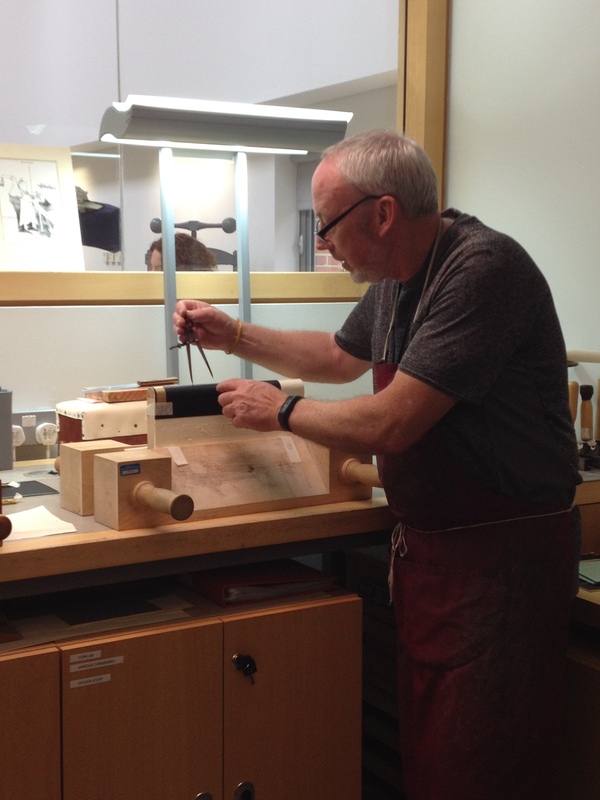 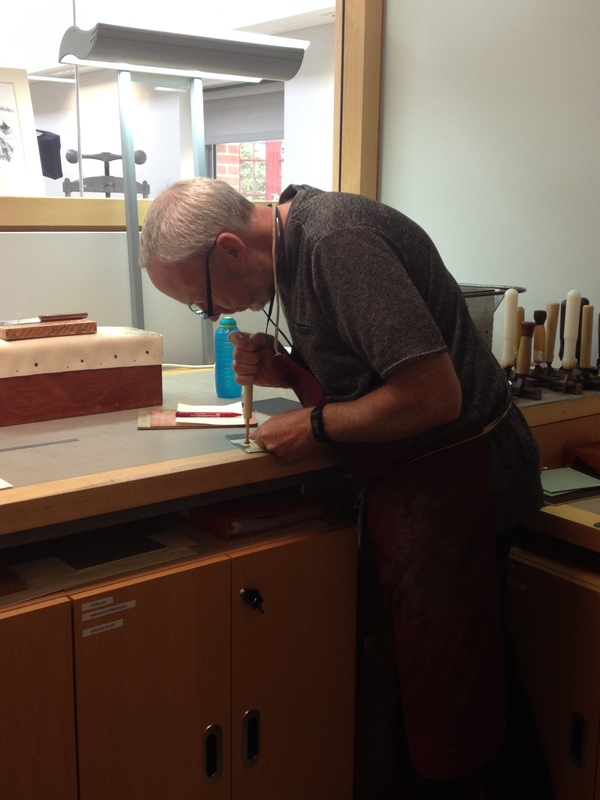 The course was held at the British Library taught by Doug Mitchel, a paper conservator, bookbinder, and gold finisher with more than 40 years experience. 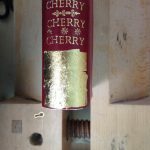 For three days, I could try and practice various traditional gold finishing techniques, while also learning to set up the tools and prepare the materials. 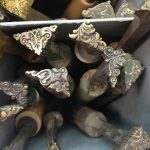 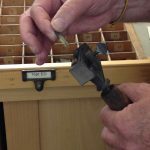 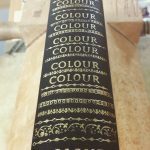 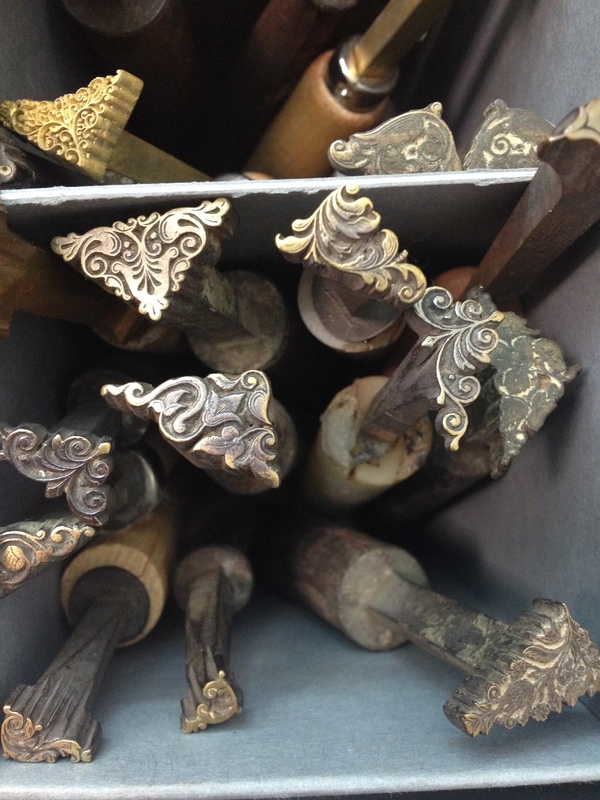 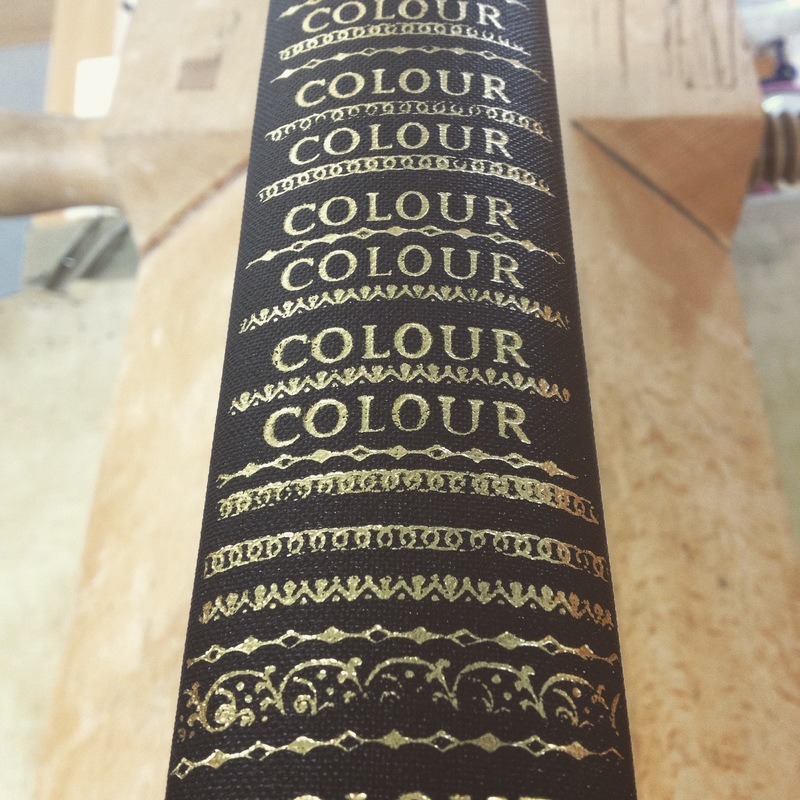 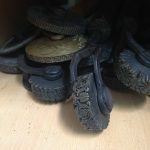 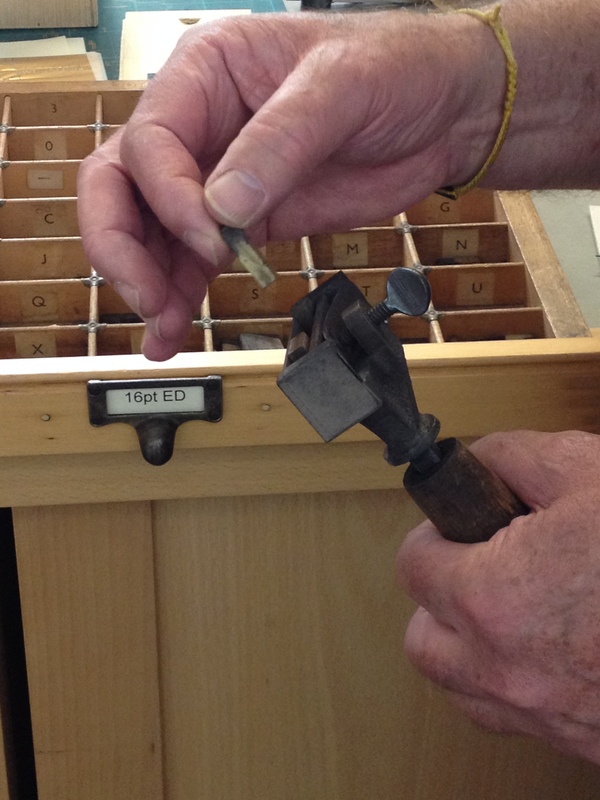 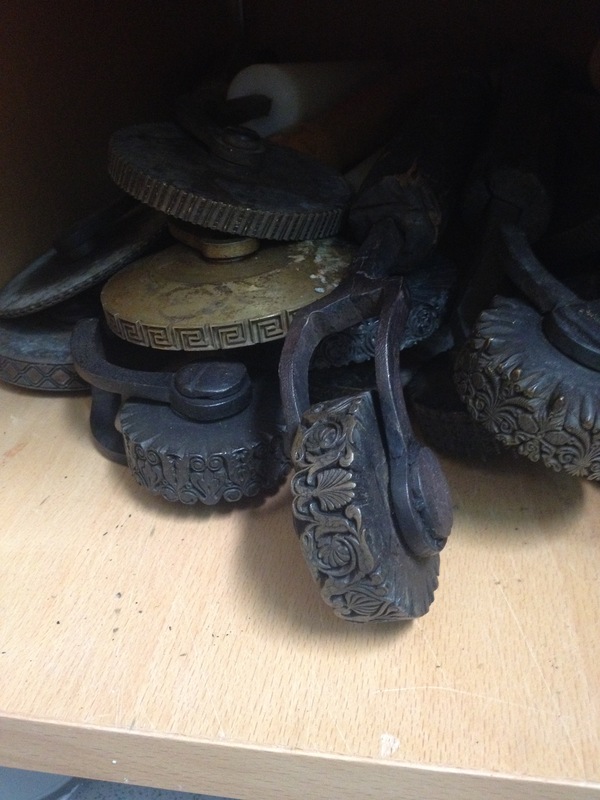 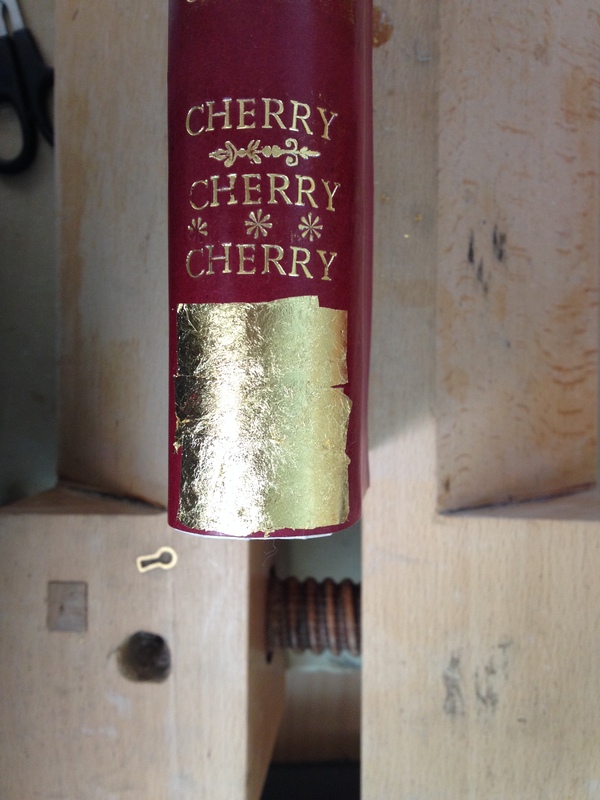 On the first day, we had a short introduction to gold finishing and the various tools you could play with, such as decorative pallets, rolls and fillets, but also type-holders and hand letters. 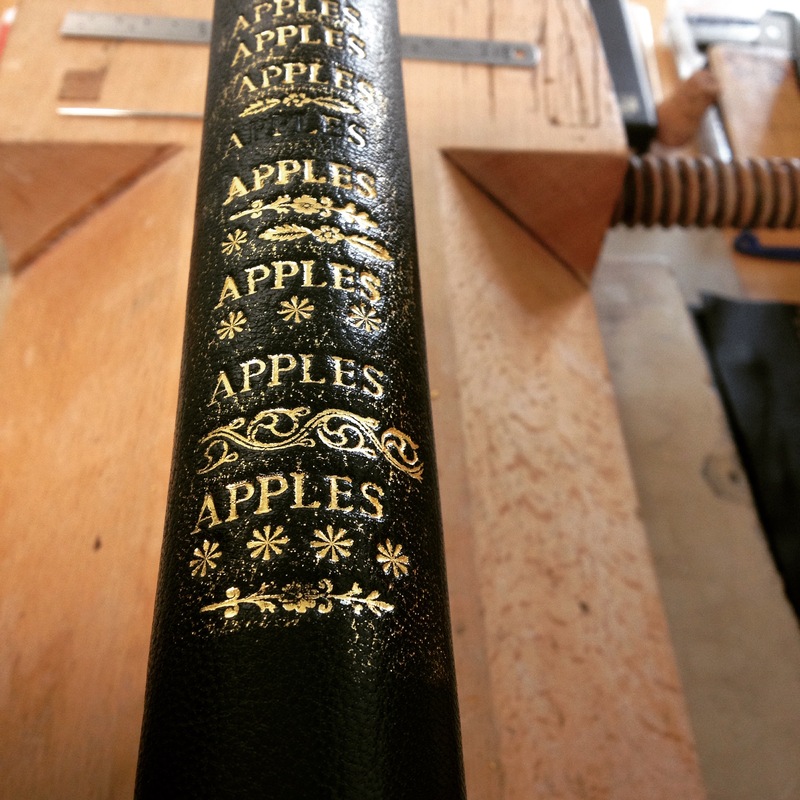 We started working on flat surfaces, first practicing on various types of book cloth with real gold-foils and hand letters, before working on curved spine with type holders. 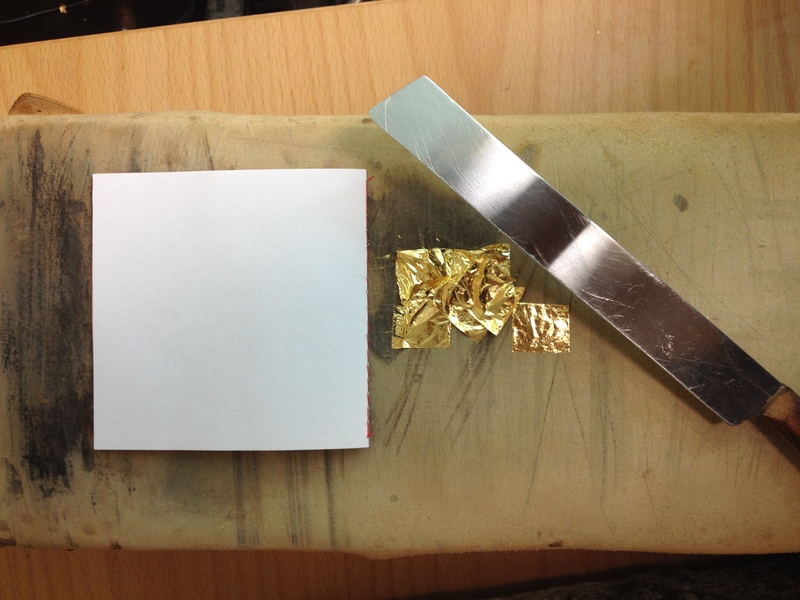 The next day was dedicated to leather and gold leaf, learning how to prepare the substrate with glaire before tooling away. 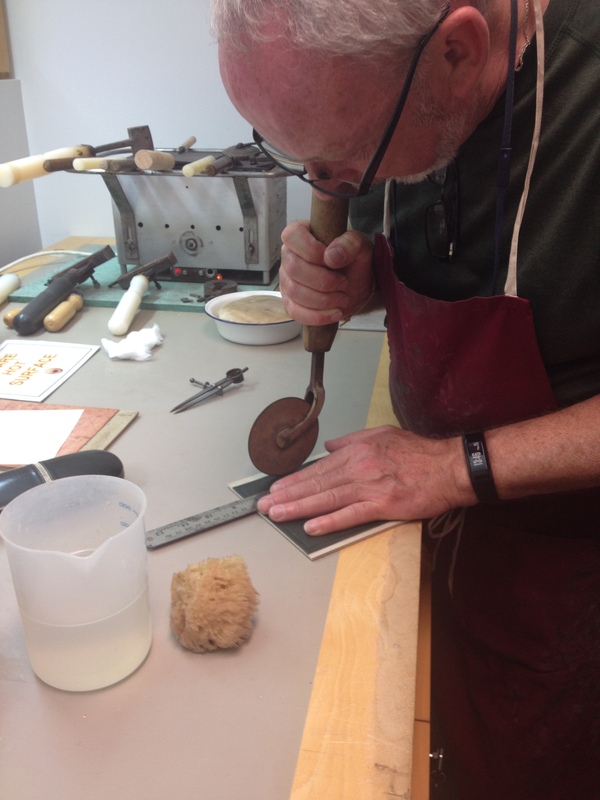 Again, we started on flat samples before attempting to master the curved spines. 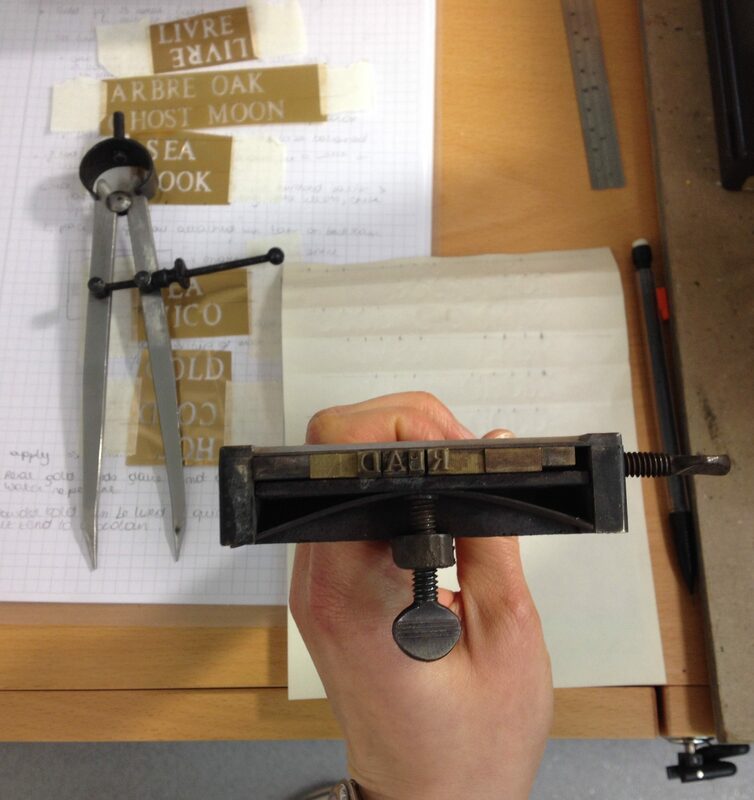 During the process, we also discussed tricks and tips about correcting mistakes, which proved to be very useful. 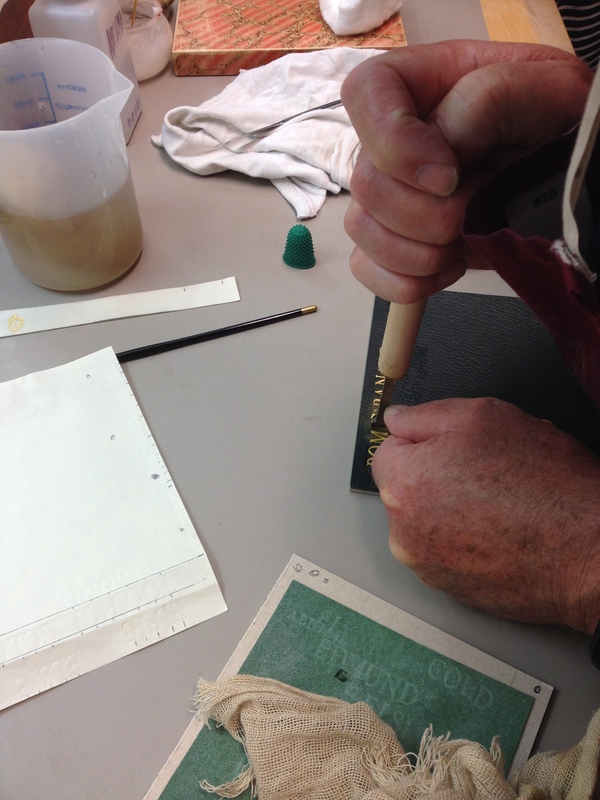 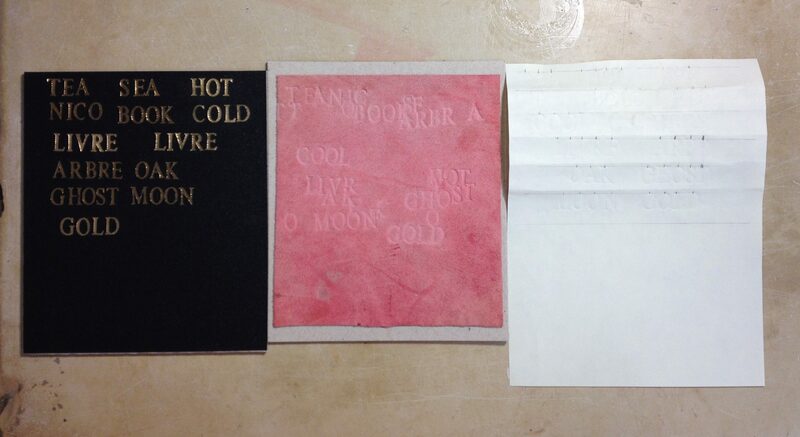 On our last day, we refined working with gold leaf on goatskin and calfskin, and practiced some blind-tooling. 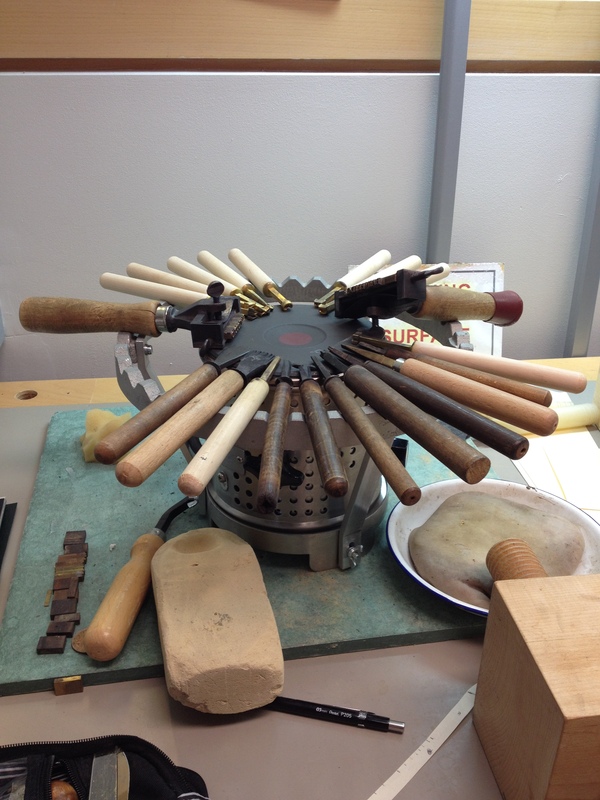 The workshop greatly improved my understanding of the gold finishing processes and the different materials involved. 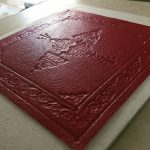 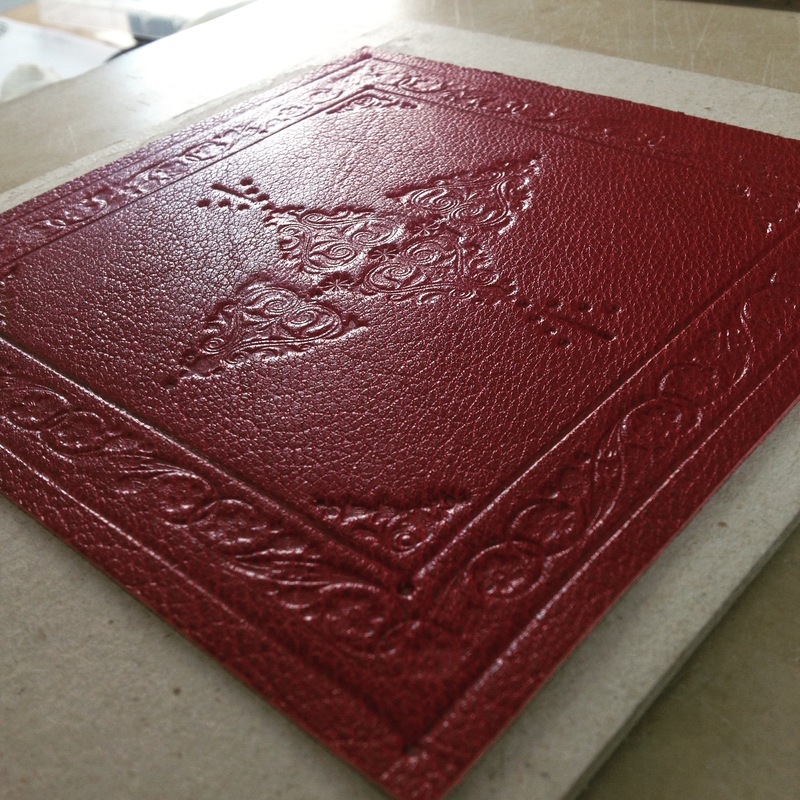 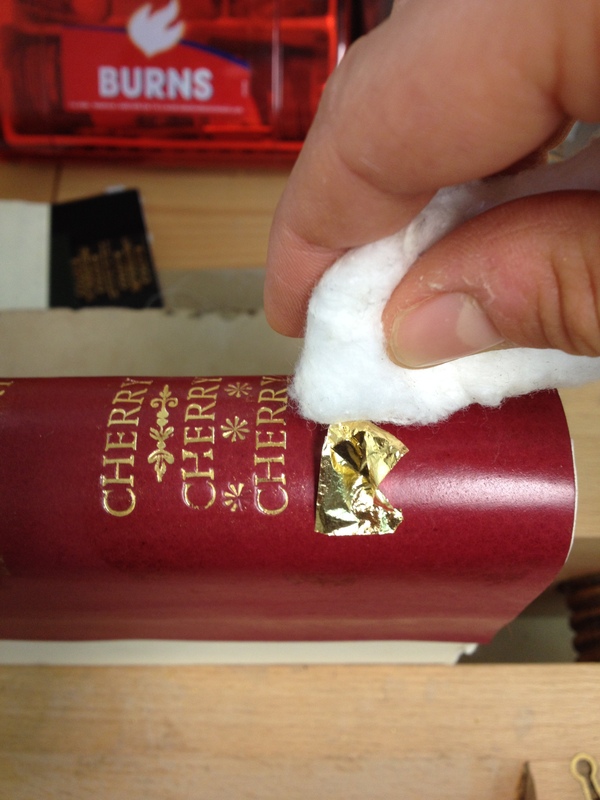 Tooling on leather or cloth, with gold-foil or gold leaf, gives different results and different work procedures. 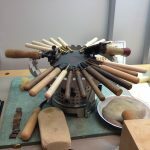 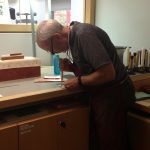 Practicing my hand-skills under the supervision of an experienced finisher helped me to understand and address my mistakes, and improved my confidence. 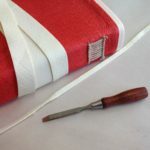 This excellent introduction gave me precious tools for further practice, and I hope I can put this new knowledge into practice and start tooling away!